Looking for musicians to form cool new REGGAE band in Phuket! 087 895-7284 movidaflow@gmail.com. We are in urgent need of farang bartender with extensive skills in cocktails. Work permit and one year visa provided. Venera Tabakin, a fashion designer based in Phuket, says she is enjoying this present stage in her career. Ms Tabakin has been in Phuket since 2007, when she began to design clothes under her label, Sashiko, which has now become well known in the Phuket fashion market. Originally from Uzbekistan, Ms Tabakin was encouraged by her school teacher to pursue fashion design, so she moved to Russia to study at a top fashion college, spent time as a dressmaker in Turkey, and finally took classes at the London College of Fashion. With over 25 years experience in the field of fashion, she has developed her own, unique, signature style of stitching. “To be a perfect designer, you need to be up to date,” said Ms Tabakin. “You have to constantly do research, checking in different shops and looking at various brands to compare and understand the fabrics and colours used.” When she can, Ms Tabakin visits New York and London to find fresh inspiration. Fashion magazines are also vital sources of new ideas for her. But inspiration alone is not enough. To be a good designer, she says, one also needs to know how to draw patterns, cut fabric accurately, understand the process of dressmaking, and have a sound knowledge of fabric types and their various qualities. “When I see fabric, I see in my mind the dress that will match that type of fabric,” she says with a smile. “And when I see a woman, I imagine which style of dress is going to match her look and her figure.” She says that the design process begins in her head, with a concept. She then makes sketches, playing with the concept for a while, before making rough variations on the concept using various fabrics. When she is certain that her design is complete, she draws a final pattern and sends it to a tailor to be made, or she makes the garment herself by hand. “Doing fashion shows is important,” she says. “It’s [the way] to present my work after I have made a collection.” For the show, there is a further creative process: choosing the right music, make-up, and matched accessories is also very important. Success and fame in the fashion industry are not that easy to achieve. Even getting started is not easy, Ms Tabakin recalls. For example, she knew that her limited knowledge of English could hinder her entrance into the London College of Fashion. So, just before having the entrance interview, she made a suit – jacket and skirt – from fabric that she had recently bought. She wanted to show the College that she was talented. She was accepted, and graduated with a diploma in fashion design. Studying in London, one of the world’s leading fashion capitals, provided her, she says, with the inspiration she needed. Ms Tabakin likes to use a combination of different fabrics to create harmony in her designs. When she came to Phuket, she observed how European women had difficulty finding clothes for the tropical climate, so now she mixes cotton and linen in the same garment to make functional and simple clothes for them that are comfortable in the heat and humidity “I want to design clothes that make women happy. I am happy when I see them wearing my clothes,” says Ms Tabakin. Mona Shop, near Surin Beach and various other stores in that area stock Ms Tabakin’s Sashiko designs. Each piece is unique. ATHANOR, company specialized in human resources consulting located at Boat Lagoon is looking for its P.A. Full or part time Admin/secretarial work wanted. Fluent English & Thai, both written and verbally.computer literate. The Privilege at Bay Cliff, Male/Female 30-40 years, 2-3 years Experience, High responsibility, Strong leadership skill. 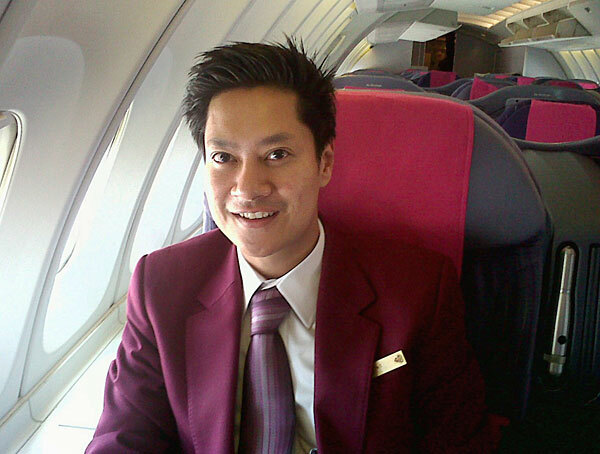 Being an airline flight attendant is a desirable career for many graduates, according to Attaporn Thamrongkiatkul of Thai Airways, as he reflects on his 16 years of experience as a steward. He enjoys serving in the first class cabin, and says his job remains a challenge and rewards him with more than the joy of travelling and a good income. 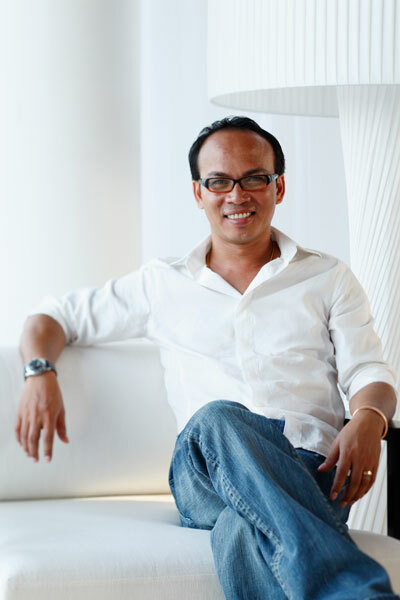 A Phuketian, Mr Attaporn graduated in hotel management from Concord University in the US, and holds an MBA from Naresuan University. Candidates for the airline job come from surprisingly diverse fields of experience, he says, including former doctors, pharmacists, dentists, police and actors. Having graduated from the US, and while waiting to start his master’s degree, Mr Attaporn was looking for work. A friend mentioned that Thai Airways was recruiting. He found that the job really suited him; he liked travelling and he loved working with fellow flight attendants. “The only thing that sometimes brings problems is when we can’t satisfy moody passengers. But that’s part of our job,” said Mr Attaporn. But there are also occasions that bring huge satisfaction, he says, recalling, “I rescued a passenger once who was unconscious and very ill. On another occasion a Thai man who was ill and wanted to die back home flew on my aircraft. “When he came aboard, he said he felt that he was home when he saw us and we helped comfort him. We heard that he died not long after arriving home.” He has lost count of how many hours he has flown, but says that he now averages 85 hours of flying time a month. “I have been everywhere but my favourite destination is Japan. When we have a bit of time there, I always travel to small villages in the countryside, rent a bicycle and try all the food I can find. There are many nice villages to visit,” he said. While he could work until his retirement at 60 years of age, Mr Attaporn says he planned to step down in the next seven years because he has other work, both as a lecturer at a university and as a business consultant. He plans to become a financial consultant for hotel industry after leaving the airline.